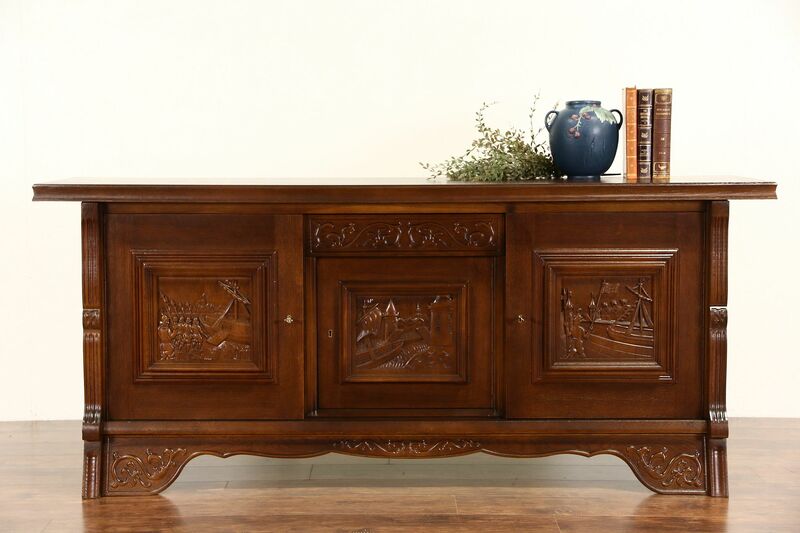 Three nautical scenes from Holland were carved with deep perspective in solid oak about 1930 on a sideboard, server, credenza or wide TV console. The restored finish is in excellent condition on this vintage Dutch furniture. There are two keys for the three doors with working locks, the drawer has dovetailed joints. Measurements are 78 1/2" wide, 21" deep and 34" tall.